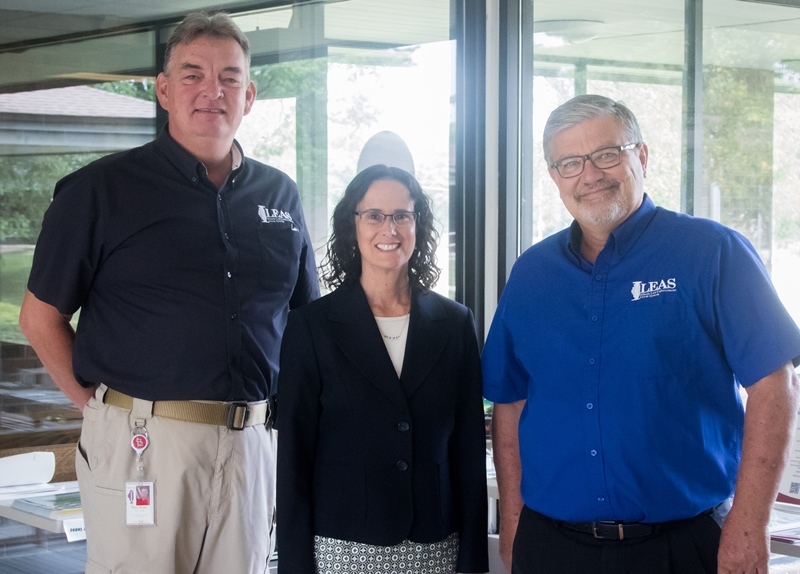 Attorney General Lisa Madigan visited the ILEAS Training Center on August 16th. She was in Champaign for a public appearance earlier in the day and stopped by the Training Center to visit a training class. The Internet Crimes Against Chlidren (ICAC) training is sponsored by her office. She spoke to the students thanking them for volunteering for the training. She emphasized just how important it was to stop online child predators. 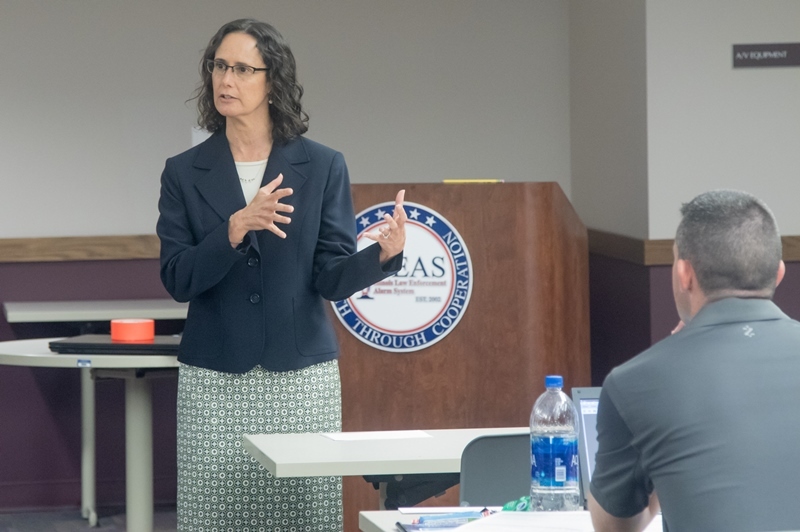 Attorney General Madigan then spent some time talking with ILEAS staff and leadership. She characterized ILEAS as a "great partner" with the Attorney General's Office. ILEAS thanks Attorney General Madigan for her support!